Matches with clear ideas. Knowing well what involves your initial choices is very important. In particular, the choice of the breed will become essential at this point, since it will affect all the features of the breeding. Evaluate then your needs, plan in advance and you will not have unpleasant surprises. Take your spaces. That means how much space must be reserved for this activity in your farm. Eye grazing. It’s an important part of farming. 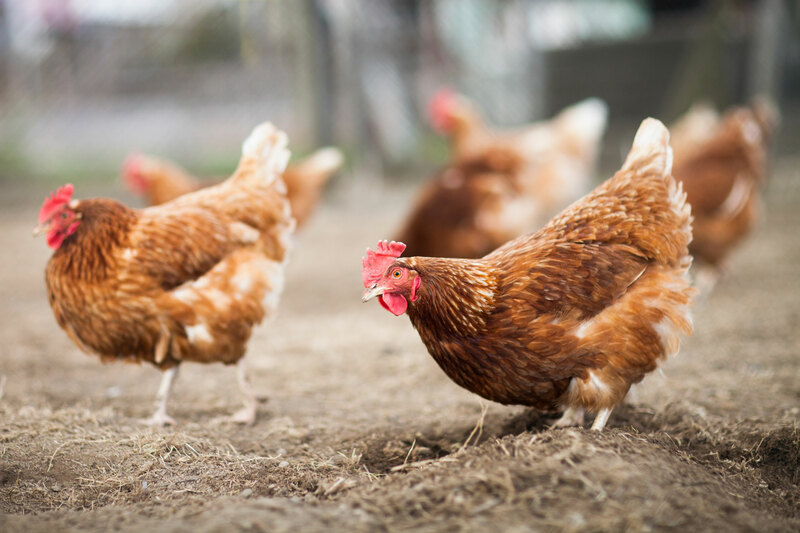 Hens can indeed integrate with the pasture as much as 50% of their diet, resulting insavings for your pocket and for the health of your animals. So, if possible and you don’t want a shed, calculate 10 square meters of pasture per head. The lawn will be made of plants that are pleasant to the chickens – ex. Dandelion, Lazi, Clover, Alfalfa, Plantain, etc.. To provide shade, you can plant a few fruit trees that do not require pesticide treatments: a cacki tree, for example, or a pergola of kiwi or strawberry grape. Even the currant bushes could be good. Safe haven. The night shelters must have certain characteristics that ensure the animals wellness. Choose a breed which suits your needs. A hen has different characteristics from an ornamental chicken as well as from a broiler or dual purpose. If possible choose local breeds and/or native, accustomed for centuries to the living conditions of your area. Choose carefully the breeder from which to buy the animals. Starting with a group of healthy and strong animals is priceless. Attention to nutrition.The water must always be clean and must be changed frequently. If kept in the hospital overnight, the trough is then set on a rack off the floor. The food will be suitable to the animals’ needs in the herd, place feeders in the night shelter. Hens and chicks in growth will require food with higher protein component; whereas the other animals eat feed base consisting of a mixture of grains, for example composed of 50% of corn and for the rest of barley, oats, soy flour, sorghum, rice, green grain. Vegetables should be part of the diet as well as wild herbs, if grazing is not available yet, and possibly serve them to the animals in a rack off the ground. Prevention is better than a cure. Proper nutrition, as well as being essential for the wellness of the animal, can help to prevent some diseases. It’s also important to guarantee maximum cleaning: clean the litter of the night shelter every two weeks (or more, if necessary). In case of visible signs of illness(eg. unappetizing chickens, with eyes still closed, constantly ruffled feathers, weakness, diarrhea, etc.) contact the veterinary service. Legal obligations. The chicken house must be built at a certain distance from homes. Remember of ZooMill. After starting your new business, to be sure that your chickens and your hens eat well, contact us: we can help you to build up and install the best feed mill with an unbeatable quality/price.